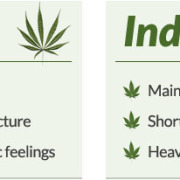 What’s the difference between marijuana and cannabis? As someone who’s been in the cannabis industry for nearly 20 years, this is one of those questions that gets forwarded to the department of redundancy. However, due to cannabis’ mainstream attention as both a medicine and a recreational drug and the many conflicting messages about it, it’s important that industry experts set the record straight. There is no difference between marijuana and cannabis. It is only semantics. “Cannabis” is the scientific name of the plant. “Marijuana” is the Mexican Spanish version of the same word. It is the same as “dog”, “canine”, and “perro.” All these words mean “dog”, they are just different languages. The cannabis industry uses ‘cannabis’ because it is the real, English word for the plant. Not only is ‘marijuana’ Mexican slang, but the word also conjures negative connotations. Unfortunately, many people still use ‘medical marijuana’ so you will continue to see this verbiage because we need potential clients to be able to find us. That’s why you see us switching between ‘cannabis’ and ‘marijuana.’ We would only use ‘cannabis’ if it were prudent from a marketing and advertising perspective. The difference between medical cannabis and cannabis. And the short answer is….nothing. The long answer is…A LOT. The process of cultivating, drying, curing and using medical cannabis is the same as it is for cannabis. However, from a legal perspective, the difference is night and day. For instance, in California, only medical cannabis is legal. Any other use or cultivation is illegal. Some people consider strains of cannabis with no psychoactive effects are medical and psychoactive strains are recreational. IMO, this is a stupid distinction. If we refused to call compounds that made you feel differently “medicinal”, then we wouldn’t able to call most medicines “medical.” The purpose of medicine is to make you feel good, right. You take aspirin because you want to hurting and feel good. I believe that this distinction arose to appease conservative legislators who want to advocate for medical cannabis. It is much easier to sell a non-psychoactive compound to uninformed constituents. I am guilty of this. I have given many presentations explaining that not all strains of cannabis will cause a high. I also remind people that if you eat cannabis without heating it, you will get medicinal value without getting high. Not all of my contemporaries appreciate that we are telling people the truth, but it’s easier that way. My friend’s grandfather once told me, “Dan, if you always tell the truth, then you don’t have to remember anything you say. And with how much you talk, I don’t think you can remember everything that comes out of your mouth.” It took me a second to understand what he meant, but it turned out to be some of the best advice I’ve ever gotten. Back to medical cannabis versus cannabis. I believe all use of cannabis is medical, or at the very least, therapeutic. Responsible use is good for the human body and brain. I guess the easiest way to find out the difference between ‘cannabis use’, ‘medical cannabis use’, and ‘recreational cannabis use’ is to ask the user. They’ll usually tell you right away. Get Fruitful coupons and promos!